Every parent wants their child to be successful in the classroom. Face it, as a parent, we feel as bad as our kids when their report card shows poor grades. But a bad report card doesn't always reflect your child’s academic possibilities. If your child is struggling at school, there are certain steps parents can take to improve the situation. The best way to know if your kids are truly struggling at school is by reviewing homework from time to time. By reviewing, you might be able to identify a problem before it becomes a major issue. It also gives you the opportunity to coach your child and help them with any questions that may arise. It’s rare to find a student who will actually admit to you how much they like to do homework. Try to make homework more enjoyable by providing snacks while they study, encourage them or even keep them company as they push through different assignments. Consider homework a bonding experience. Bond by taking breaks to go on a walk, make dinner together or give them something to look forward to when they finish each assignment. This step is easy to do, but pause until there are real issues at hand. If there is real trouble, ask for a parent teacher conference or intervention, ask for specific advice on how to help with homework or studying and keep track of all your conversations so everyone is on the same page. If you’re not understanding the teacher’s notes, that could be another sign it’s time to reach out. If comments on homework or details on projects become unclear, you should always send an email asking for clarifications. Teachers may have a specific way they want a paper completed or need math problems solved certain ways. 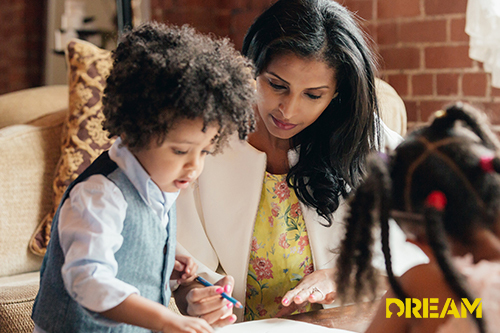 Understanding the teacher’s feedback for your child will enable you to help with homework even better. Don’t ever let problems fester. It’s best to ask sooner than later. When parents stress over their child’s performance in the classroom, it can cause even more anxiety for the child. Don’t place too much pressure on your student. Remind them often how much you believe in their academic abilities and you know they are trying their best. Continue to offer positive encouragement or even positive reinforcements.